Includes a free preview of future issues in the collection Gold Coinage a.t. Presidency . For more information, please refer to the Satisfaction Guarantee tab below. If you do not wish to preview future issues in the collection, you may purchase the single item using the 'Individual Item Only' tab at right. When Abraham Lincoln became President in 1861, the dark clouds of the Civil War were already gathering. Lincoln tried desperately to avoid conflict but had failed. Southern states began seceding from the Union and the Confederate States of America was formed. As the country divided and blood began to spill, the Confederacy made it a priority to capture the U.S. Mint facility in New Orleans sothey could begin minting their own coins. The last U.S. coin off the presses was an 1861 Liberty Head Gold Double Eagle. Fourteen years after the war ended and President Lincoln was assassinated, theNew Orleans Mint re-opened and once again started producing coins for the reunited nation. The New Orleans Mint closed in 1909, but it will always hold a very special place in the history of U.S. coinage for its important role in the Civil War. Days after Abraham Lincoln was elected the 16th President of the U.S. in 1861, the Civil War began as South Carolina seceded from the Union . . .followed by ten other southern states. The Confederate States seized all the Federal resources it could to fund its cause. The U.S Mint facility in New Orleans was an important conquest - allowing the Confederacy to mint their own coinage. The last U.S. coin to come out of the New Orleans facility was the 1861 Liberty Head Gold Double Eagle. Fourteen years after the war ended, the New Orleans Mint re-opened and produced coins until it was closed in 1909. - Abraham Lincoln Presidential Dollar: Minted in 2010, this genuine 1861 Abraham Lincoln coin features a stunningly detailed portrait of Lincoln on the obverse and Lady Liberty holding her torch aloft on the reverse. - 1861 Liberty Head Double Eagle Replica Coin: This piece is a faithful reproduction of the original 1861 Double Eagle coin, one of the most coveted pieces for new and experienced collectors alike. Both of these proof-quality pieces are luxuriously layered in 24k gold, ensuring that this set will stand out among all the other items in your collection. We've encased them in a handsomeKeepSafeTM archival shell to enhance their presentation and preserve their beauty and luster for years to come. You'll also find a brief synopsis of the history behind the coins within the shell. 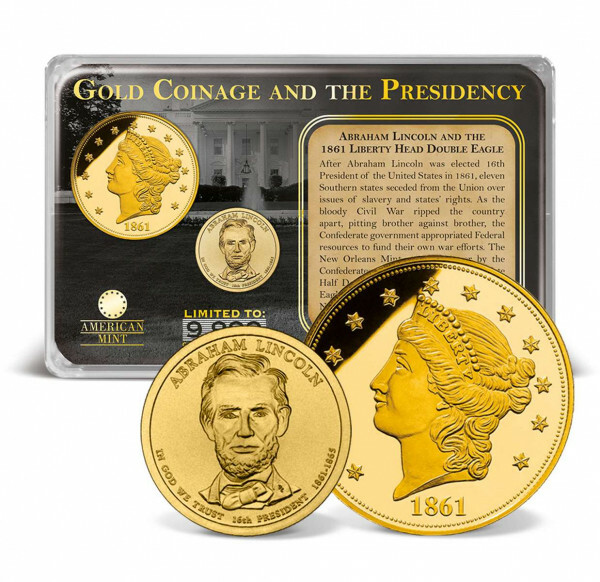 We've limited the 1861 Abraham Lincoln gold coin and Double Eagle set to only 9,999 complete collections  don't wait until it's too late to get yours! We've made this exceptional coin set affordable for everyone  order yours today at a deeply discounted online price. Add other items to your order and get the benefit of free shipping and handling, which applies to all purchases of at least $150. You can also pay in interest-free installments if you spend more than $100. 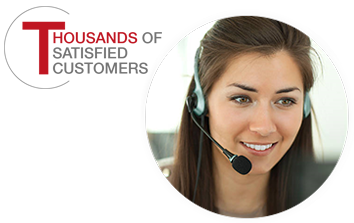 Order your set today, and feel tocall us at 1-877-807 MINT Monday through Friday from 8 a.m. to 8 p.m. EST if you have questions or need assistance.